When Part One of this article concluded, the year was 1984 and an Australian business tycoon named Robert Holmes à Court had just announced that he was putting The Beatles music catalogue up for sale. Technically, Robert Holmes à Court was selling a company called ATV Music Publishing, which owned roughly 4,000 songs, including, most notably, a company called Northern Songs, which was the music publishing arm of The Beatles. Thanks to an absolutely terrible contract that John Lennon and Paul McCartney signed at the beginning of their career, Northern Songs owned the publishing rights to more than 250 Beatles songs, including all of their most popular hits from the height of Beatlemania. By 1984, Paul McCartney and John Lennon's widow, Yoko Ono, had been given at least two opportunities to purchase the catalogue, but both times they passed, thinking the $40 million price tag was too high. When Robert Holmes à Court purchased ATV Music in 1984, McCartney and Ono were offered another chance to make the first bid, but once again they declined. Meanwhile, in California, a 25-year-old Michael Jackson, fresh off the astronomical success of Thriller, was in the midst of a two year publishing rights shopping spree. Ironically, it was Paul McCartney, who first taught Michael about the publishing rights business. 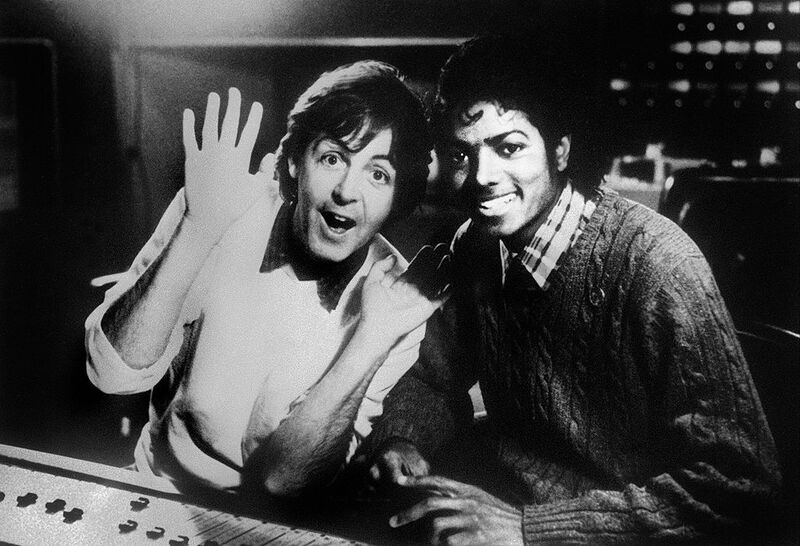 In 1982, while recording the song "Say, Say, Say" together in London, Michael briefly lived with Paul and Linda McCartney. After dinner one night, Paul retrieved a thick leather book from a shelf. The book, Paul explained, listed every song right that he had purchased in the previous decade. As if that wasn't impressive enough, Paul bragged that in the last year alone, he had made over $40 million in royalties ($96 million in 2013 dollars) from his song rights. When Paul was done speaking, Michael looked at him and said: "Some day I'm gonna own your songs." Paul laughed, and responded: "Great, good joke!" Michael definitely was not joking. Between 1982 and 1984, he invested millions of dollars buying publishing rights from a wide variety of artists. His first big purchase was the entire catalogue of Sly and the Family Stone. He then bought a series of classic singles like "Great Balls of Fire," "Shake Rattle Rattle and Roll," "When a Man Loves a Woman" and "Runaround Sue." When Jackson's longtime lawyer, John Branca, got wind that ATV was for sale in 1984, he approached Michael about making an offer. Michael instructed Branca to spare no expense in acquiring The Beatles catalogue. The highest bid on the catalogue was $40 million, so Jackson and Branca prepared an offer that was likely to scare everyone off: $47.5 million ($106 million in 2013 dollars). ATV's owner, Robert Holmes à Court, tentatively accepted their offer and both sides began the process of due diligence. The proceeding negotiations between Jackson's and Holmes à Court's lawyers took 10 months and cost Jackson personally over $1 million. Jackson's legal team spent months at the US Library of Congress studying the validity of each of the 4,000 song's copyrights. In total, more than a hundred lawyers were needed to generate eight different contracts until both sides finally agreed on the deal. In October of 1985, the deal was done and Michael Jackson's prediction officially came true: He now owned the entire Beatles music catalogue. Michael Jackson now controlled the publishing rights to every Beatles songs. That meant he was free to license songs like "Yesterday," "All You Need is Love" and "Revolution" to any brand he chose. If he licensed a song for $100,000, the song writers Lennon and McCartney would still get $25,000 each, and the publisher Michael Jackson would get $50,000. In 1987, Michael infuriated Paul when he licensed the song "Revolution" to Nike for $500,000. But there was nothing Paul could do about it now. In 1995, Michael is approached by executives at Sony with an offer he can't refuse. Sony offers to pay Michael $95 million ($160 million in today's dollars) to merge ATV Music with their catalogue company and form a new 50/50 joint-owned publishing powerhouse. This was a great deal, because not only did Michael instantly earn back nearly twice his initial investment, he now owned 50% of a much larger music publishing company that would likely grow even bigger in the future. And by the way, Michael still controlled 100% of his own songs through his separate company, Mijac Music. Between 1995 and 2005, Sony/ATV Music Publishing would grow to own over 200,000 songs. Between 2005 and 2013, the company would grow to own over two million songs, including dozens of valuable catalogues and individual songs by artists like Eminem, Lady Gaga, Akon, Shakira, Beck, Neil Diamond and Bob Dylan. In 2012, Sony/ATV earned an estimated $1.25 billion per year from licensing and royalties and had a net income of $500 million. Today, the total value of Sony/ATV is estimated at $2-4 billion! Even if you use the low end of that estimate, Jackson's 50% stake is worth a whopping $1 billion! Not a bad return on a $47.5 million investment. Despite earning hundreds of millions of dollars from music sales, publishing, merchandise touring and more during his lifetime, shockingly by the time Michael died in 2009 he was roughly $500 million in debt. As money poured in during his life, much more poured right out. Michael's lavish lifestyle cost as much as $50 million per year just to maintain. He spent $12 million to pay off his baby-momma Debbie Rowe, another $20 million settling a child molestation case, plus tens of millions more on lawyers. He also spent $19.5 million to buy Neverland Ranch, which cost $10 million per year to maintain, then spent $35 million remodeling the compound into his own private mini-Disneyland. Not to mention the countless millions he spent on Bentleys, antiques, art, clothes, chimpanzees, diamond-encrusted gloves and other trinkets. Michael also wasted between $50 and $100 million on failed movie and music projects. Combine all this with the fact that his music sales and popularity cooled in the late 1990s, and you can start to understand how by the year 2000, Michael was flat broke. In order to continue funding his lavish lifestyle, Michael took out a $380 million loan with Bank of America using his stake in Sony/ATV as collateral. The interest on that loan ran into the tens of millions each year. Incredibly, within a few years Michael had managed to blow through the entire $380 million loan plus an additional $120 million. In other words, by the time he died in 2009, Michael was technically $500 million in debt. Immediately after Michael died on June 25, 2009, his lawyers and accountants went to work to protect his estate. Their ultimate goal was to pay back all of Michael's debts in order to preserve his diverse business empire. The lawyers quickly sold Michael's future music rights to Sony for $250 million. They then helped produce the film This Is It, which would eventually reap $500 million at the box office. Next, they signed licensing deals with Pepsi and Cirque du Soleil that would allow those companies to use Michael's image and music in various promotions and shows. Incredibly, since Michael Jackson died in 2009, his estate, led by John Branca himself, has brought in over $600 million in revenue! That's more than any other living artist in that same time frame. His executors have easily paid back 100% of his debts and have secured the future of his billion-dollar music catalogue. Michael's will left 40% of his assets to his three children, 20% to charity and another 40% to his mother Katherine. Once Katherine dies, her 40% goes to the kids, giving them 80%. So what's the lesson here? If you find a way to make a ton of money investing in song publishing rights, don't tell your friends about it!